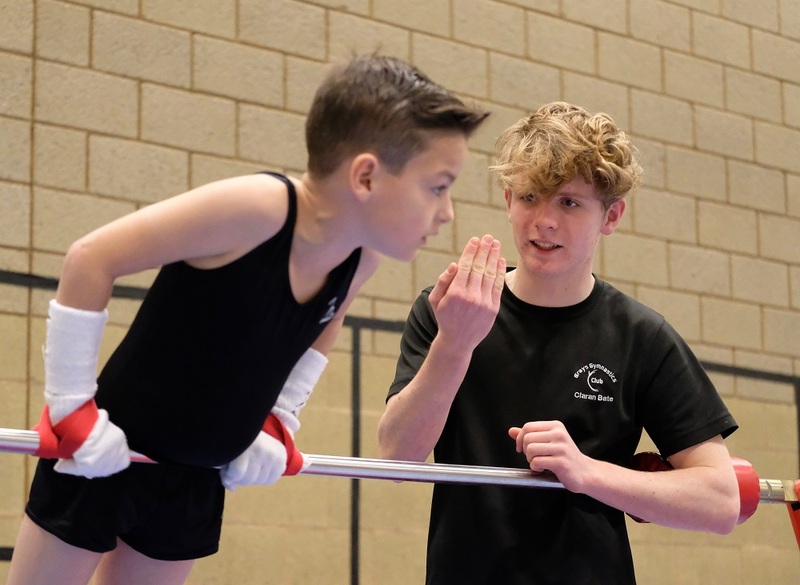 Boys are selected for the squad by experienced coaches following an initial trial. 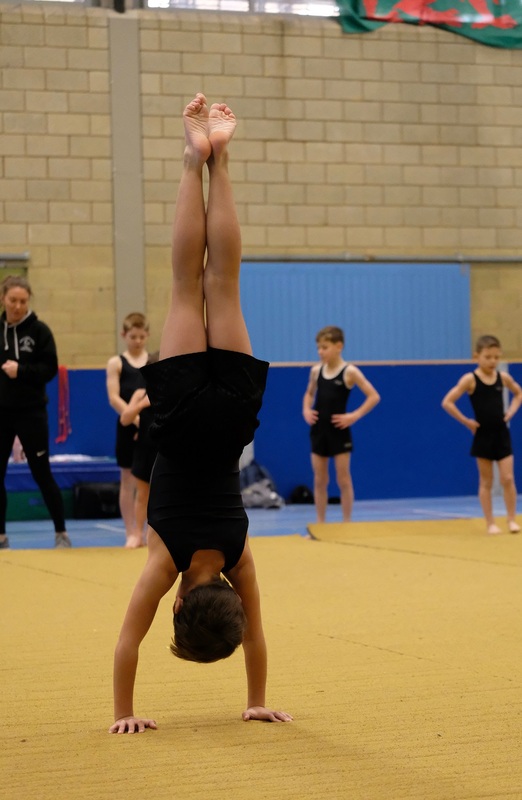 Gymnasts are chosen because they demonstrate natural physical requirements and potential. 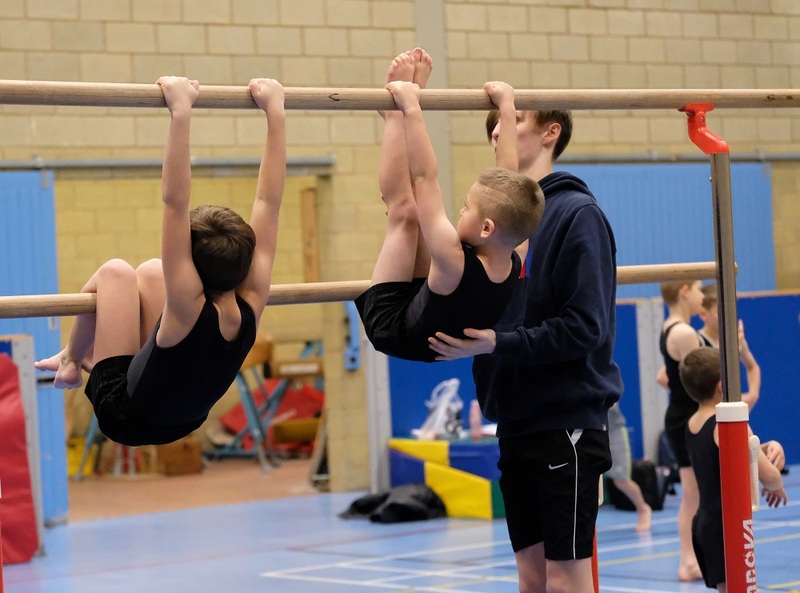 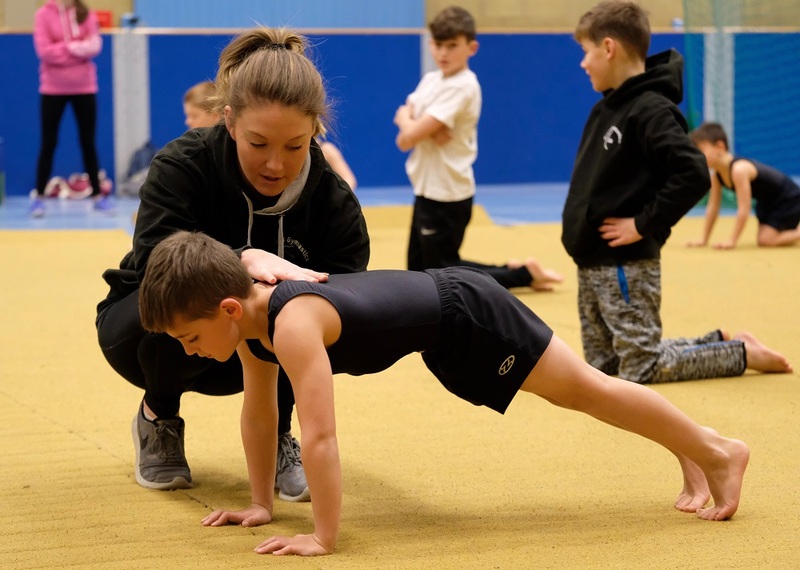 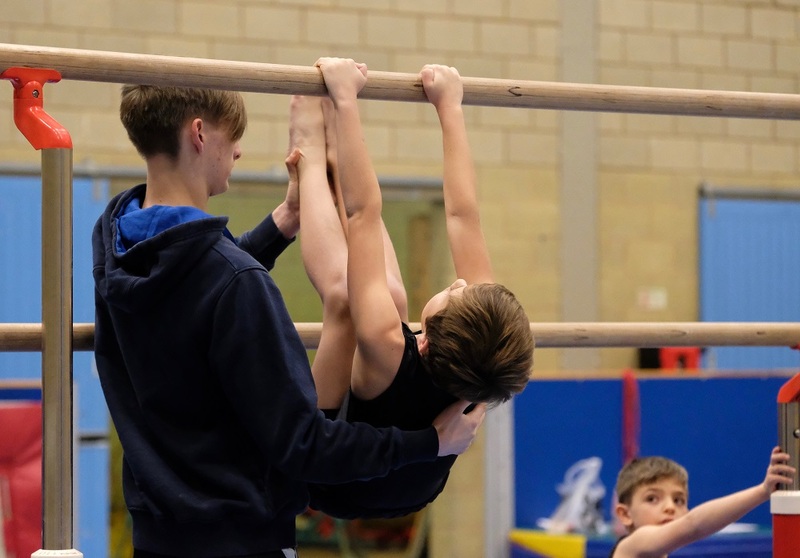 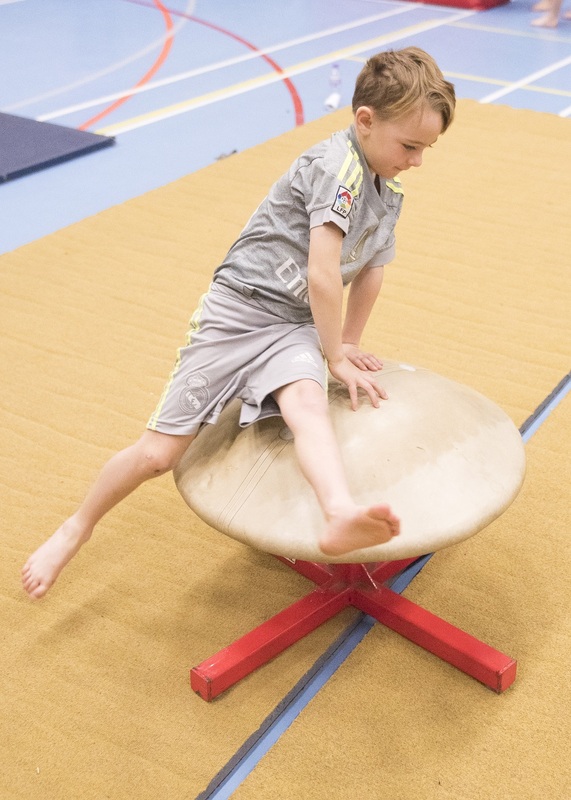 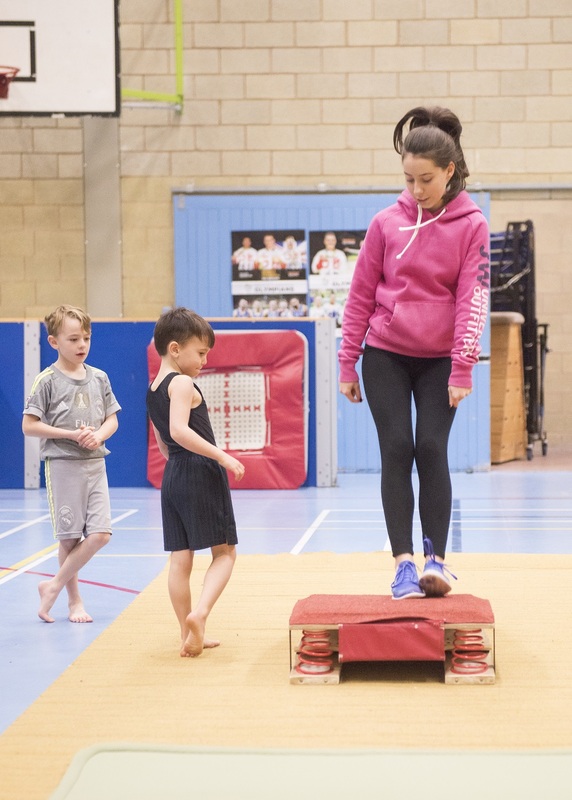 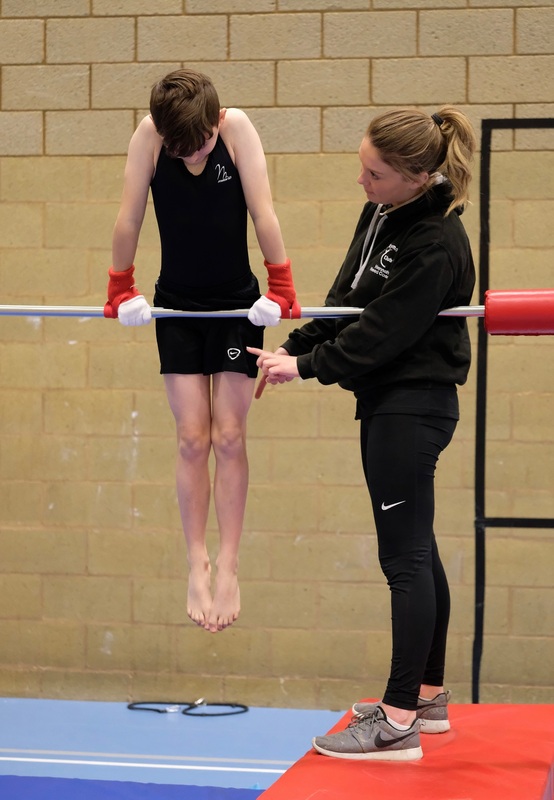 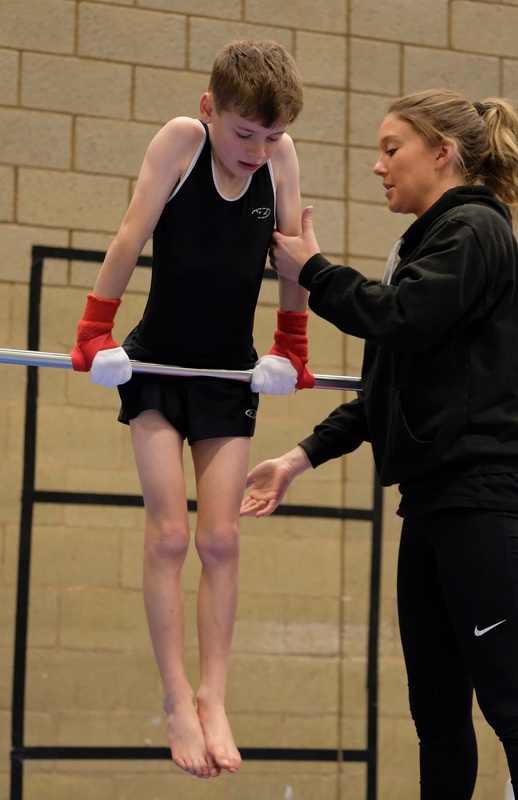 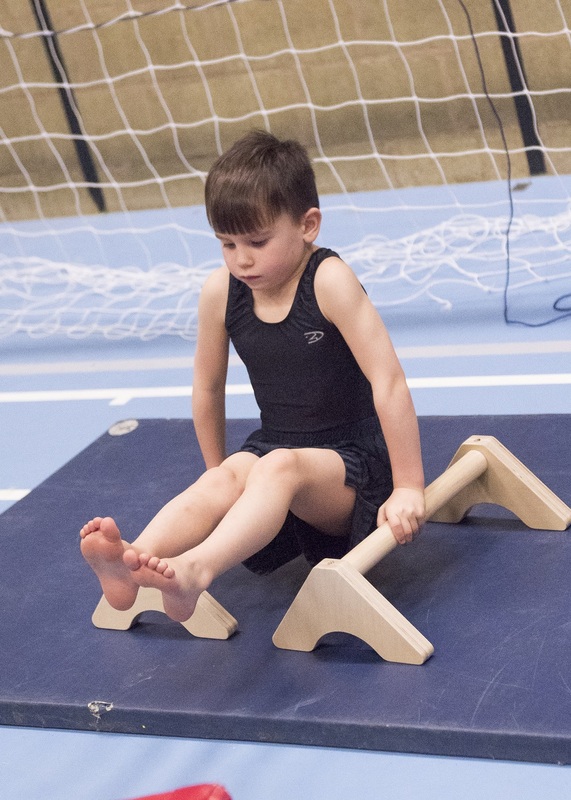 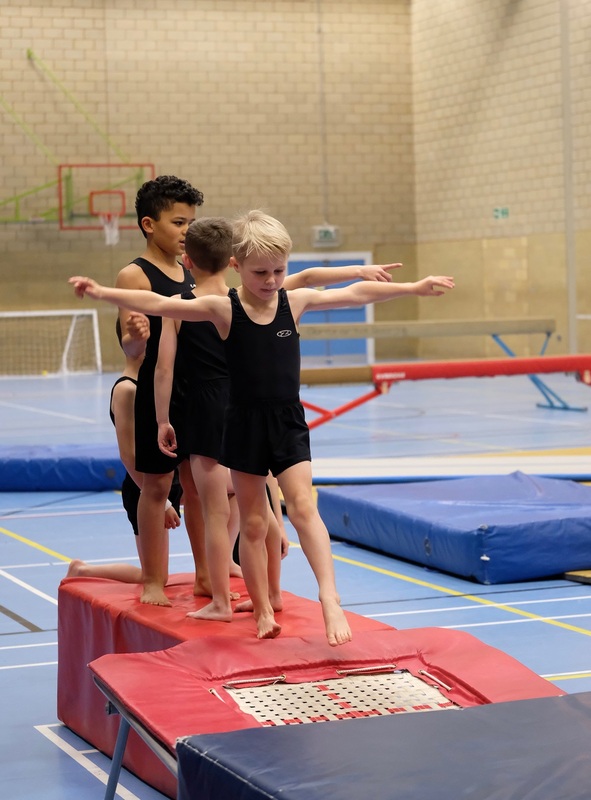 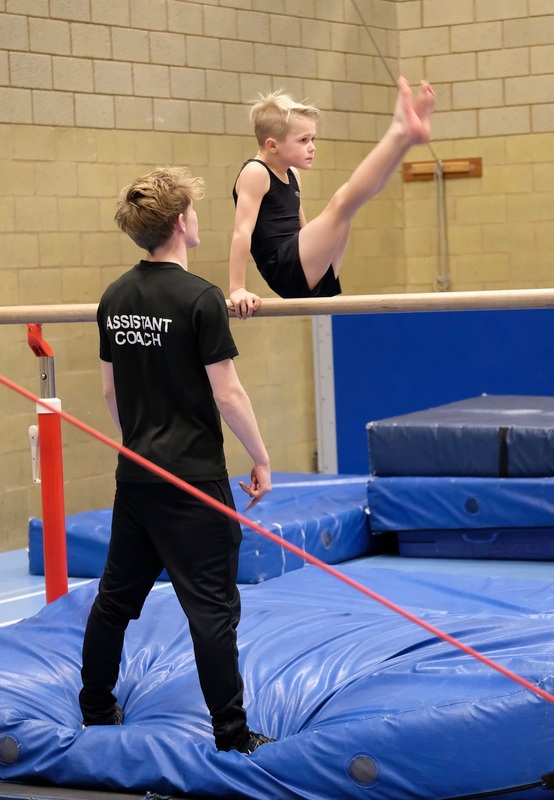 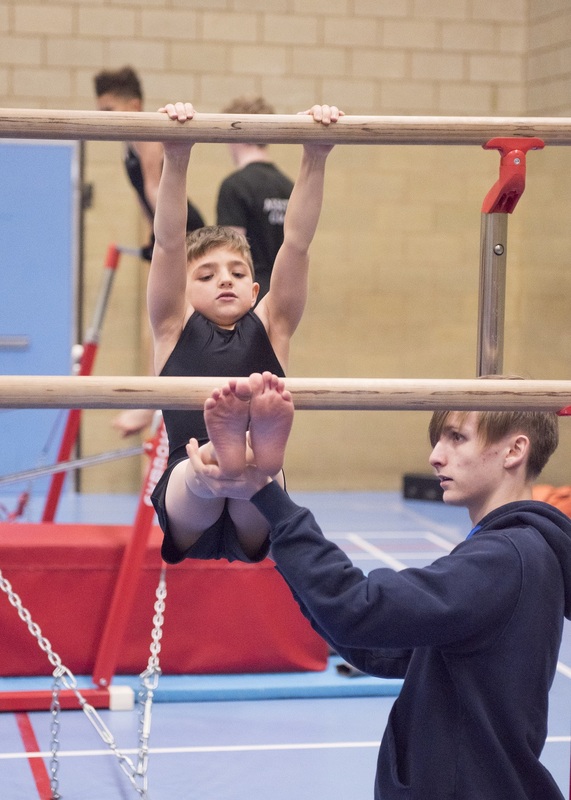 Once in the squad, the gymnasts follow a training programme designed to improve flexibility, strength and co-ordination which will allow them to develop the required skills for later stages. 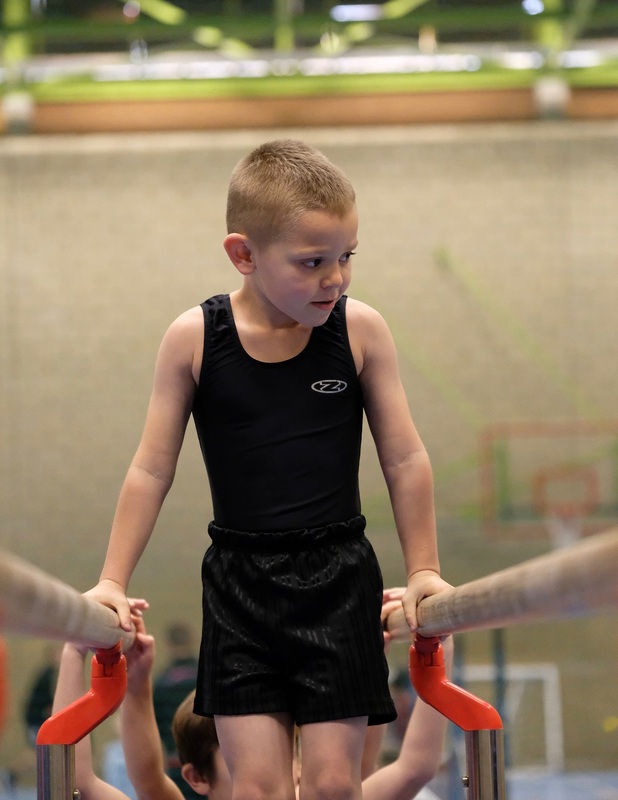 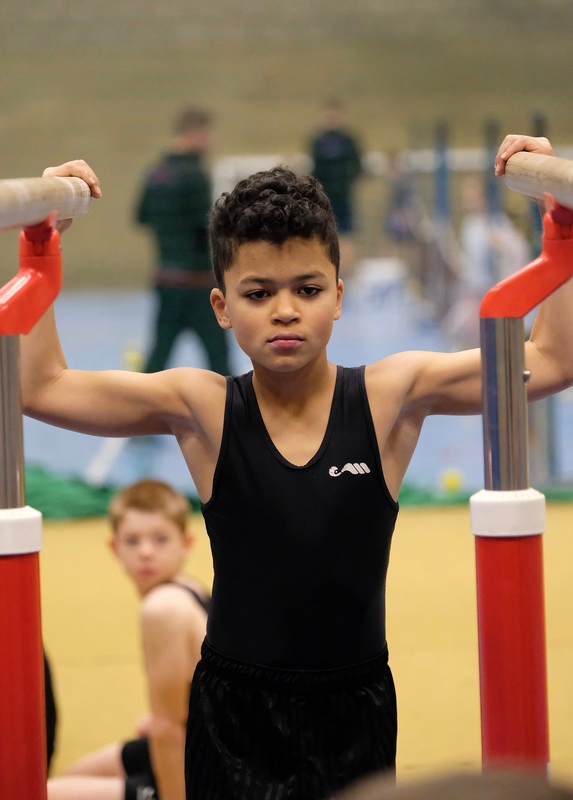 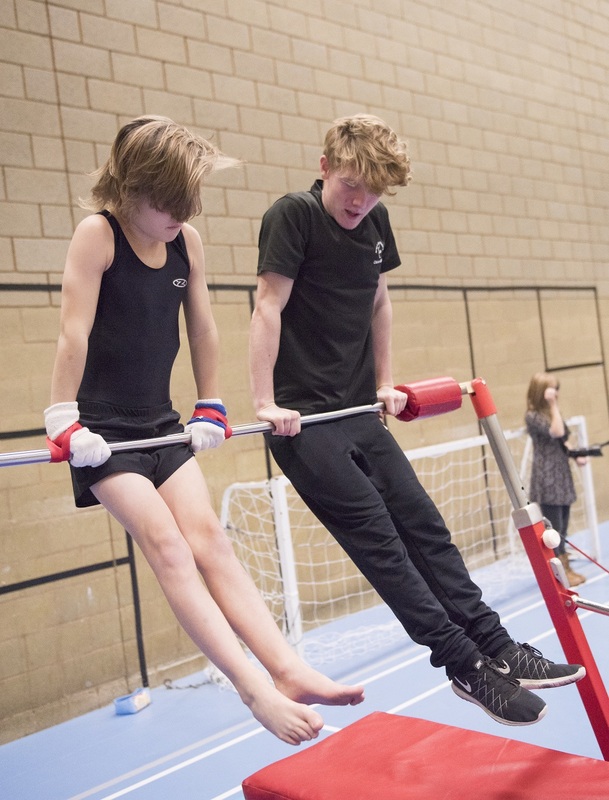 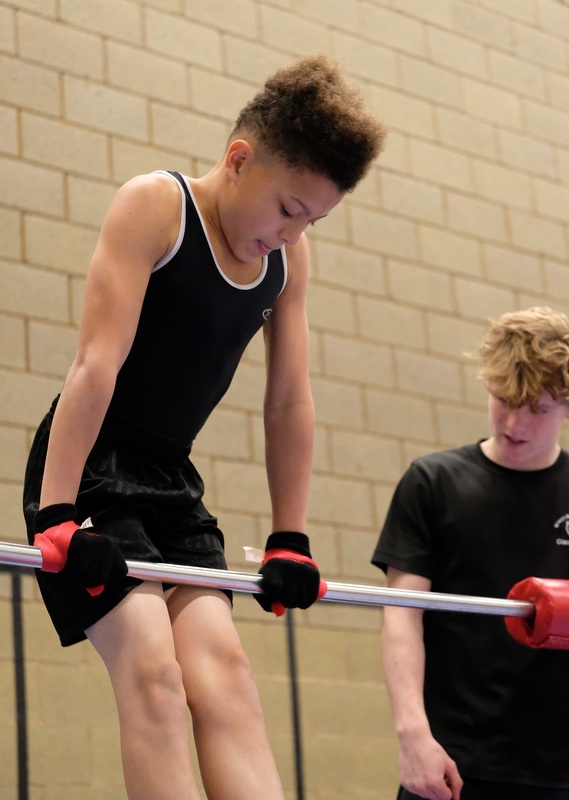 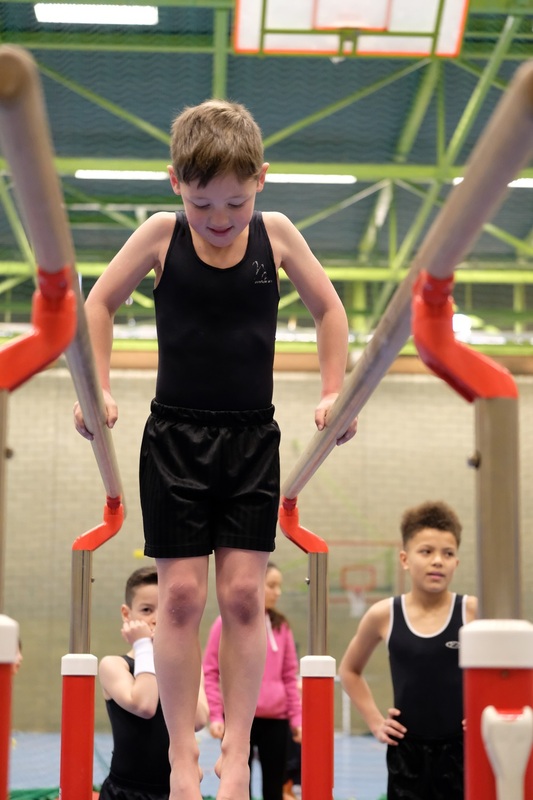 The apparatus the boys squad work on include: floor, vault, pommel horse, parallel bars, high bars and rings. 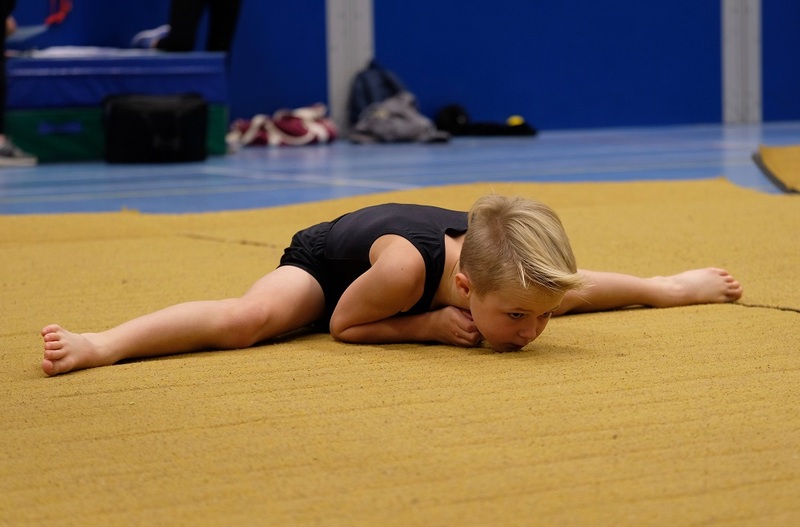 Gymnastics is a demanding sport. 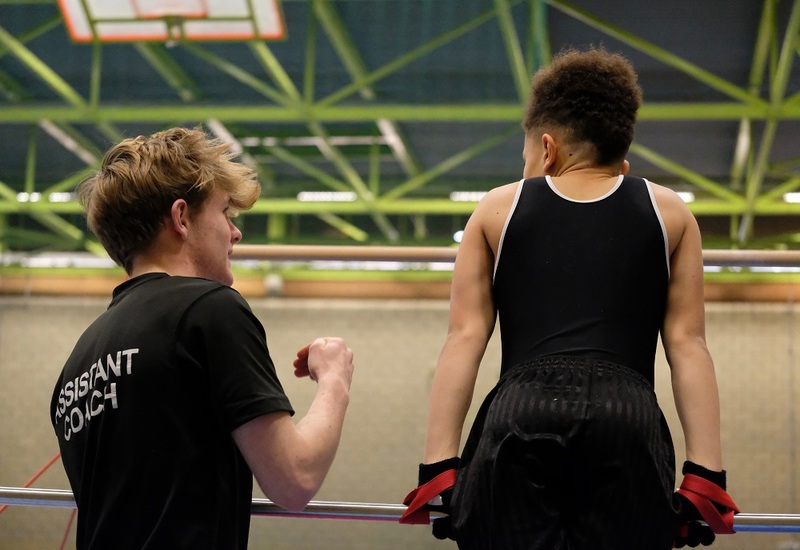 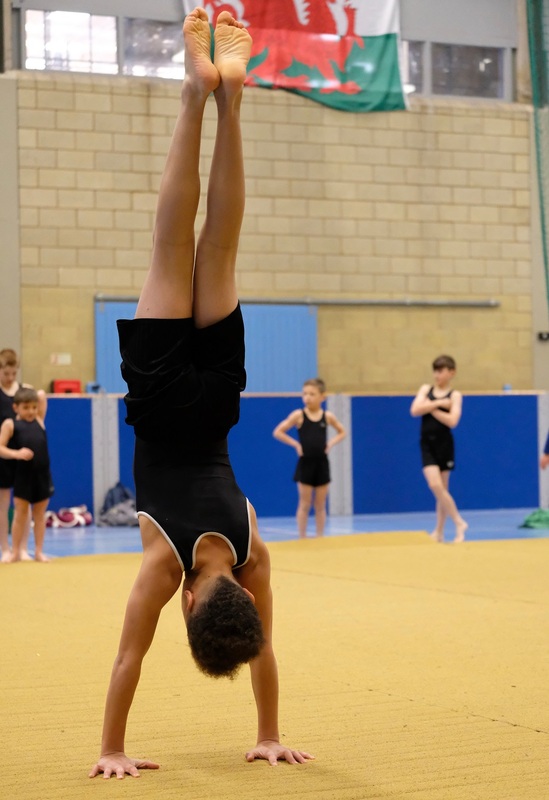 In order to be successful, a squad gymnast will need to train regularly, be committed to their training programme and develop a high level of self-discipline. 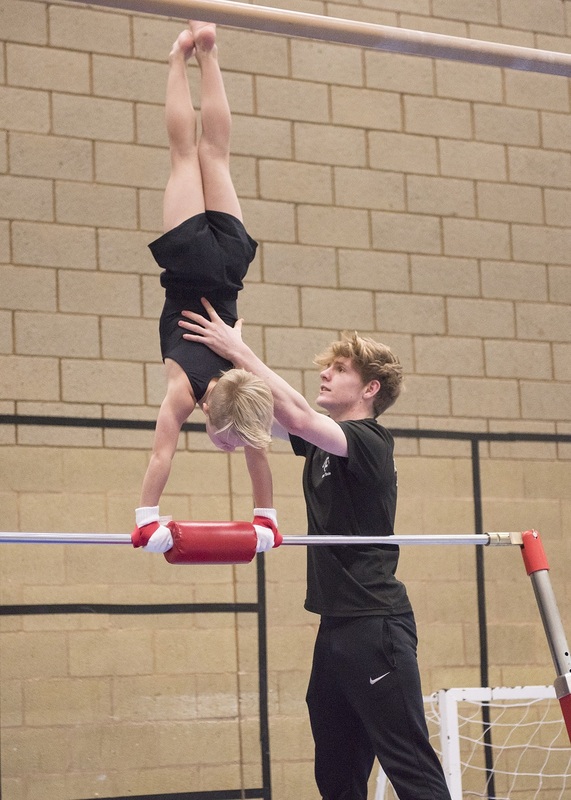 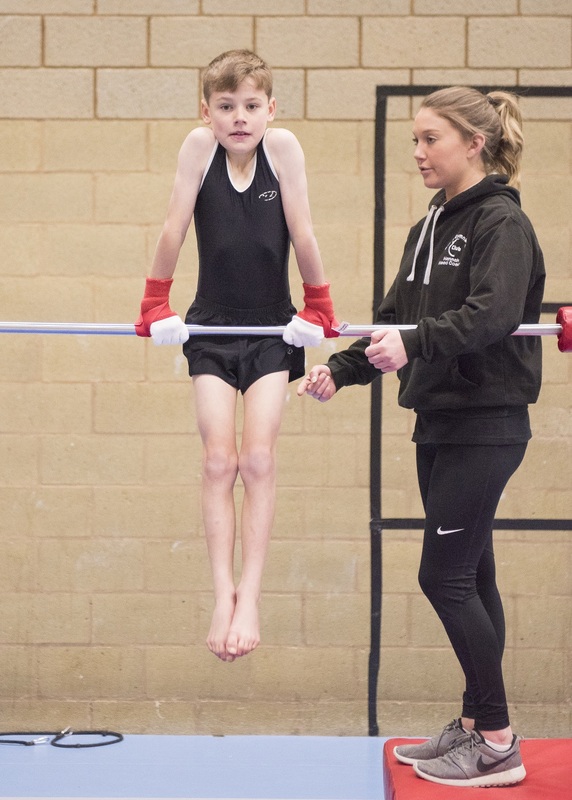 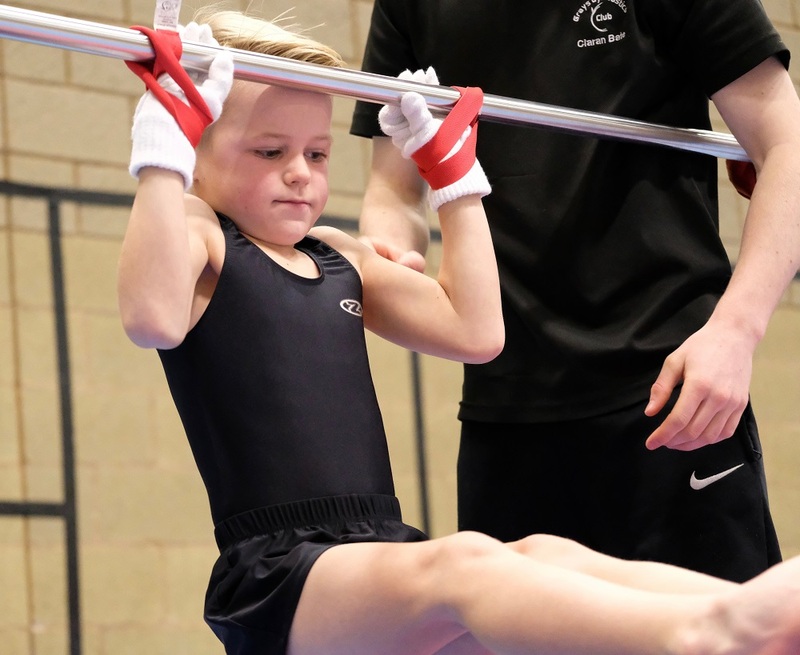 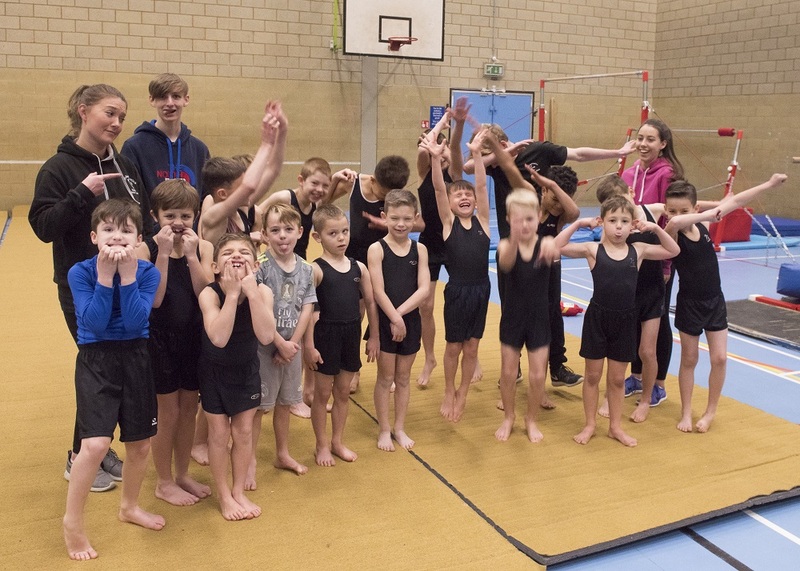 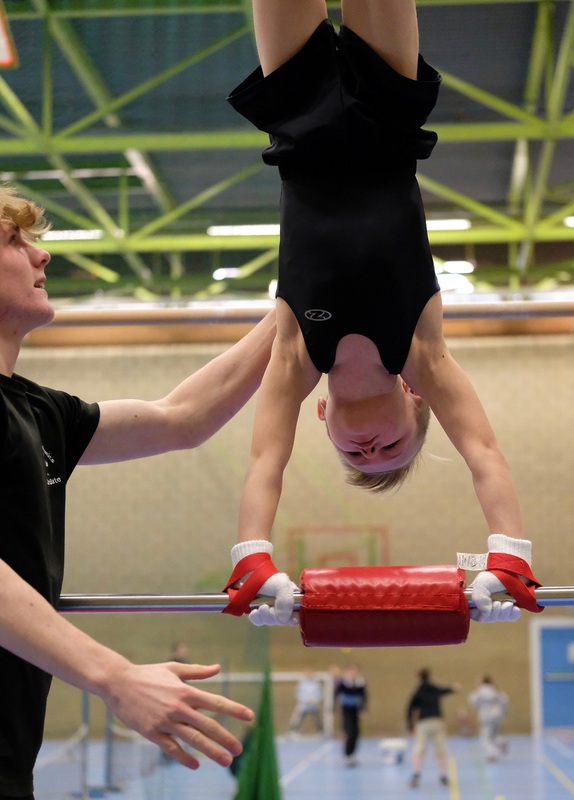 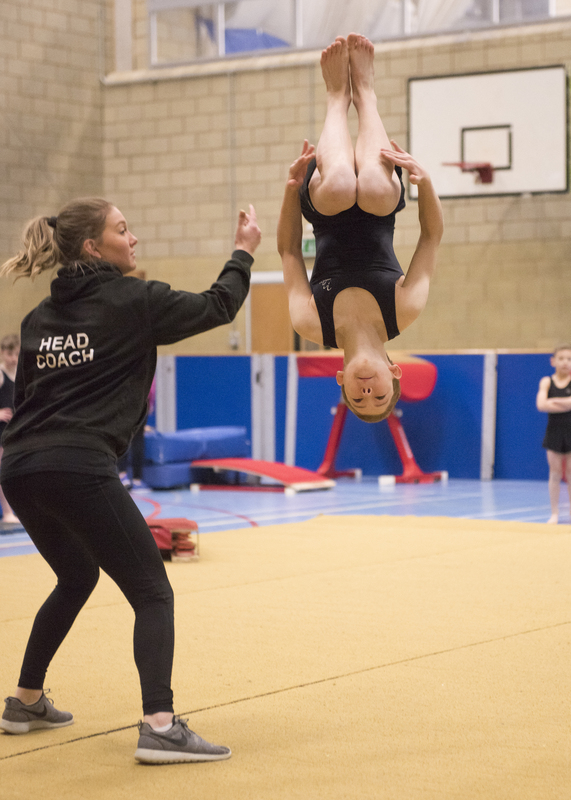 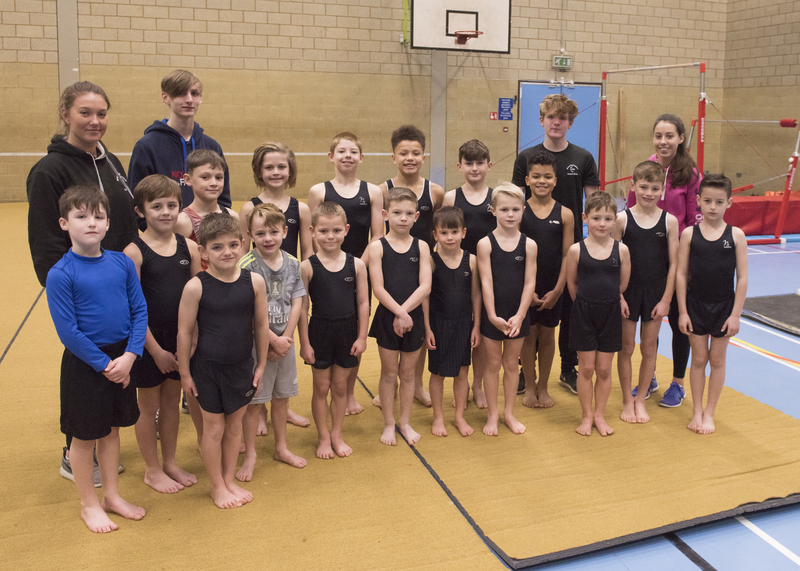 Squad gymnasts will have the opportunity to compete at county, regional and national levels. 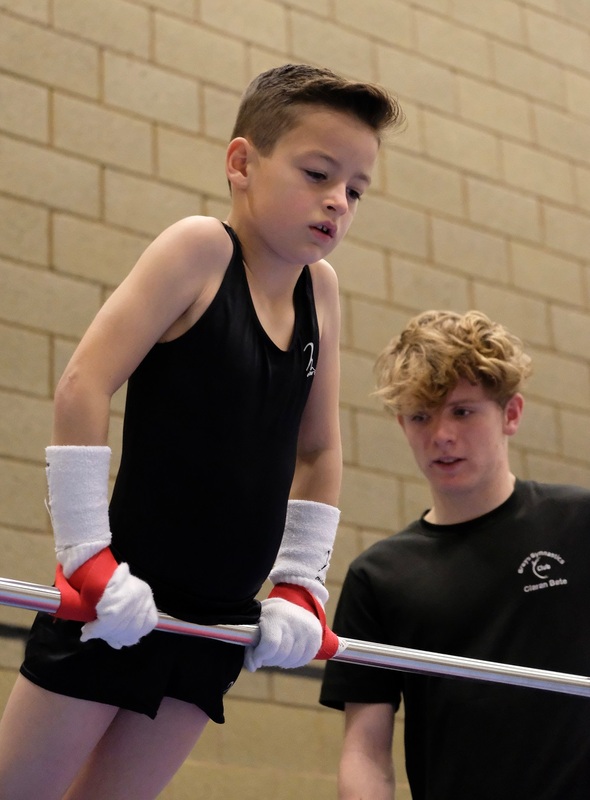 When competing, the boys will be required to wear a Grays unitard and shorts, which will be supplied by the club as and when needed.